UP Assistant Teacher Admit Card 2018: The Uttar Pradesh Basic Education Council is going to conducts UP Sahayak Adhyapak Exam on 27-05-2018. Candidates who are going to appear in this exam can download UP Assistant Teacher Admit Card 2018 from here! Contenders can hit the below provided direct official to get UP Assistant Teacher Exam Admit Card. 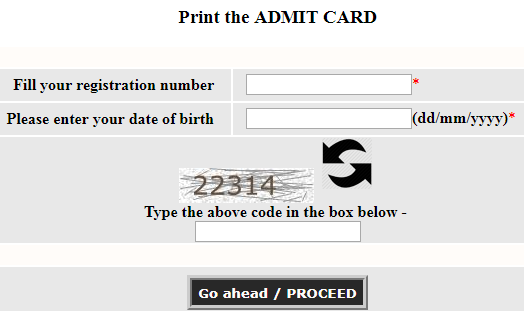 Contenders can उत्तर प्रदेश सहायक अध्यापक प्रवेश पत्र by entering the Registration Number and Date of Birth. UP Assistant Teacher Exam New Date!!! Uttar Pradesh Assistant Teachers Exam which was going to be held on 12th March 2018 now Uttar Pradesh Basic Education Board will conduct exam on 27-05-2018. A case was on the UP Assistant Teachers Recruitment was pending in High Court of Lucknow. Because of the latest HC hearing & changes in Eligibility Criteria, the Assistant Teachers Exam is now postponed. New date has been released; candidates can participate in exam on 27-05-2018. Now those applicants who will get 33% marks they will be appointed for Assistant Teacher. Uttar Pradesh Basic Education Board has now released a list of rejected applicants who are not eligible for appearing the Assistant Teacher Written Examination 2018. As everyone know that UPBEB is currently organizing the written examination for Recruitment of 68,500 Assistant Teachers. Those applicants who have send more than one application they will not appear in exam. The UP Assistant Teacher Admit Card 2018 will not be issued to the rejected applicants. So, the applicants are suggested to download the list by hitting on link given below in order to check their names in UP Assistant Teacher Rejected List. Thereafter aspirants have to hit on “परीक्षा नियामक प्राधिकारी, इलाहाबाद, उ0 प्र0” link that is available on home page below to the UP Assistant Teacher Written Exam Admit Card. On The next page you have to hit on the “परीक्षा हेतु प्रवेश-पत्र प्रिंट करें” link to get UPBEB Assistant Teacher Admit Card. After that UP Assistant Teacher Call Letter page will appear on your screen. Now candidates need to enter the registration number and date of birth and press submit button to get upbasiceduboard.gov.in Admit Card. Within seconds UP Assistant Teacher Admit Card will be displayed on computer screen. Finally, aspirants have to download UP Assistant Teacher Hall Ticket & take the print of the same and carry it with you at the time of examination. Uttar Pradesh Basic Education Board will conduct the UP Assistant Teacher TET Exam (Teacher eligibility Test) to fill 68500 vacancies with young and qualified candidates. UPBED conducts this UP Assistant Teacher Recruitment Exam, at various locations in the state of Uttar Pradesh. Uttar Pradesh Basic Education Board will release UP Assistant Teacher Admit Card soon on official site. Contenders can attain the rest information about UP Assistant Teacher (68500 UP Assistant Teacher Admit Card by going through this page. The UP Assistant Teacher Question Paper is of Subjective Type. There will be No Objective (Multiple Choice) Type Questions. The Exam will be of 1 mark for each Question. The duration of exam is of 03 Hours. The Exam will be based on Hindi, Sanskrit, English, Science, Math, and Environment & Social Study from 12th Standard. The Questions of Teaching Skills, Child Psychologist, information Technology and Life Skill Management & Attitude is of D.El.Ed Standard. Candidates are required to fetch UP Assistant Teacher Admit Card and one of the id proofs which are given below at the time of examination. Must bring following details along with UP Assistant Teacher Admit Card. UP Assistant Teacher Result will be declared on 15-05-2018 at the official website of Uttar Pradesh Basic Education Board. For General & OBC Category 67 Marks (45% Marks) is Compulsory & for Reserved Category 60 Marks (40% Marks) is Compulsory. Candidates can get complete details regarding UP Assistant Teacher Admit Card 2018 through this Official Link. Applicants can also bookmark this page of www.privatejobshub.in by using CTRL+D to get latest details regarding UP Assistant Teacher Admit Card.